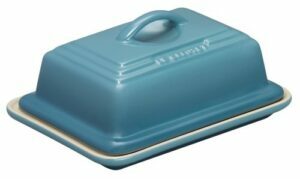 Elegant and functional, it will keep your butter fresh from the fridge to the table or work surface. The dish will hold a regular 225g – 250g pack of butter (W170 mm x D125 mm x H75 mm) with easy grip handle. 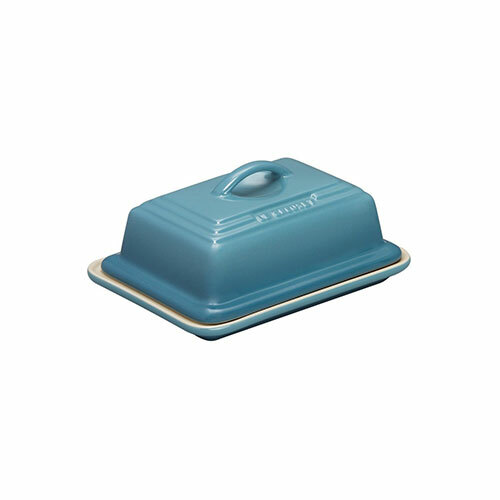 The butter dish is easy to clean, enamelled & scratch resistant surface (will not scratch under a knife). The dish will not absorb odours or flavours, won’t stain and is Microwave, Freezer & Dishwasher safe.